Welcome to the home of Shire Horses in Australia! 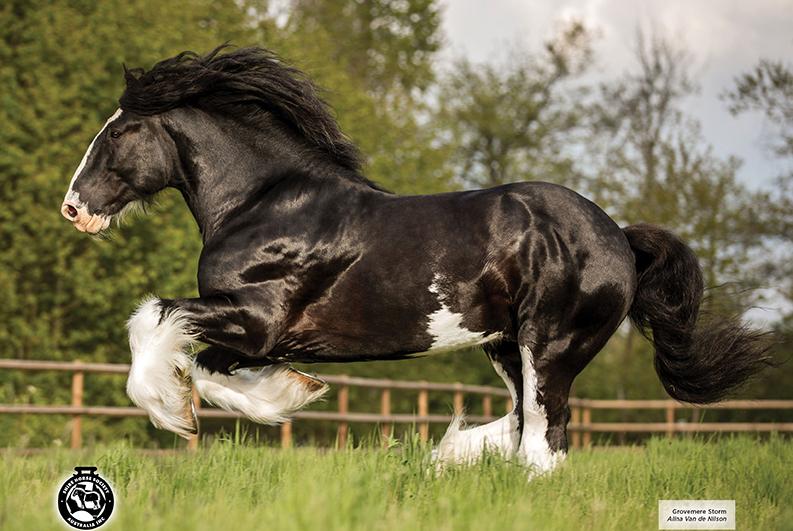 The Shire Horse is the English heavy draught horse breed. It is the biggest horse in the world and has a long, well-documented history dating from when its ancestors were used by knights in battle hundreds of years ago. The Shire Horse Society Australia was established in 1978 and represents Australia's leading shire breeders and enthusiasts who work to promote and protect this magnificent and very rare breed. The Society promotes the breeding and showing of Shire Horses. The Shire Horse is an extremely versatile horse and we promote its use as a driving, riding and pleasure horse. The Society's committee upholds the breed standard in Australia by appointing an Official Panel of Judges and by teaching about the breed. The Shire Horse Society Australia runs The Australian Shire Horse Stud Book, the Shire Shire Horse Registry and the Shire Sporthorse Registry. The Society provides services to its members and those interested in owning a Shire. We would love for you to join us in our mission to promote the future of the great Shire Horse both in Australia and also in the wider world. Congratulations to Daryn Post on being appointed to the Shire Horse Society Australia Probationary Judges' Panel. Congratulations to Cai and Emma Thomas, Somone Landry and Ineke Kuiper on being awarded a Shire Horse Society UK heritage silver spoon for their success in the Shire Classes at Sydney Royal. Horse Deals will have a special Heavy Horse and Horse Drawn feature in their June edition. Discounts are offered for horses and items in this section. Deadline is 10th May. Shire Horse Society Australia updated their cover photo.